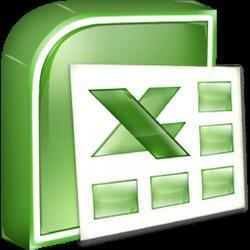 MS-Excel Training for professionals from all domains. For HR, Finance, Management, Marketing, MIS, Sales etc. Advanced Microsoft Excel is a spreadsheet based application to create financial reports and do a statistical analysis of data on user or enterprise level. We are one of the top most firms offering MIS Training to our clients. The software ensures accuracy and speed which attracts our maximum clients. Our employees are highly qualified and experienced. It is enabled with Multiple Merchandise management that includes weight based, Serialized, Expiry and many more. The price range that we offer to our clients is affordable and competitive. Advance Excel, Reporting, MIS, Dashboard Automation In Excel. FIIT the best Advanced Excel Training Centre in Chennai. We offer Basic, Intermediate, Advance Excel Training and VBA Macro Training for Corporate & Individuals. This is a 20 hours Course designed for Finance Professionals (mainly into operational roles), to dynamically report the summarized information on financial events using the most powerful features of Microsoft Excel. Learn advanced data analysis & solving analytical problems with the use of Analysis Tool Pack and Tally 9. MIS Training designed to the professional already working in MIS or professional willing to join MIS job. If you handle your MIS with MS Excel, you can join our course and get handy with our MIS Express course. Our Course starts with learning Basic MS Excel and them moving towards Advance Excel and then finally, creating various reports & dashboards. We are craving to build expertise through our training solutions. Our Advanced Excel Training can be used extensively for Data Analytic, MIS Reporting, Computer-aided Audit techniques (CAAT). We provide a tailored training session for candidates as per their requisition. Aptech's Smart Professional-MIS course is designed to make you a skilled MIS (Management of Information Systems) expert. The program imparts you with expert-level skills in MS Office, offering excellent command over Data Analysis, Analytics & Report generation using Excel & MS Access and Data Management. Course is a hands-on guide to designing and building to develop logic who is working.The course explains what MIS is and how it usages and how it save your time. It gives Training for MIS Reporting. Our team will analyze and understand the reporting needs of the professionals.